My oldest daughter turned 16 at the end of January, and I can't believe that we almost missed it. It almost sneaked past us like most of her recent birthdays - ever since she became too old to just invite the whole class. Ever since she went through the year were she didn't have any close friends outside of school, and then the year where she insisted 'kids may age don't celebrate birthdays anymore'. We almost let this one slide by too. Until, in passing conversation, my best friend and my husband separately each spoke the words that grabbed me in a way that surprised me, and have not left me: 'We only have a few more years with her'. In all of the busyness of raising four kids, running a household and building a business, I had allowed the 'later when we have more time' state of mind to force so many things onto my 'someday' list. But this year, exactly 9 days before her birthday, the realization set in of what turning 'Sweet 16' means to us and for our firstborn child. It means just two more short years of changes - not the everyday 'she'll still be here every night for the most part' kind of changes. It means the 'she could move out of our home in just over 800 days' kind of changes. The two years where she seeks her independence a little more each day - driving by herself by the end of next month, making decisions about work and school and sports and boys, spending 7 weeks out of the summer volunteering and asking to stay away another weekend once it comes to an end. The stuff that makes me want to be a little extra easy on her, because the world is a scary place, but at the same time she needs to be extra disciplined because, well the world is a scary place and she has a lot to learn. I should have been more diligent about preparing myself and her for this pivotal time. But how could I have known that she would move from the Happy Beep Beep, to frogs & toads, to Instagram & Snapchat so quickly? I may not have gotten everything right in 16 years, but for this one week of her life, I was going to get close. We took those nine days to plan every detail of her party, from the movie ticket invites that I printed and trimmed by hand, to the party dress - times 10 because one only turns 16 once and I wanted it to be perfect, so of course I had to get dresses for all of her friends to wear too right? We rented a popcorn machine, brought in a red carpet, setup a projector with a 16x9 ft screen and surround sound. All for Charlie's Sweet 16 Retro Movie Night! She might have gone right back to growing apart from us the next week, but for that one day - her sweet 16 party - we shared secret donuts on the way to pickup the rentals, bonded at HQ salon while Karrly & Paige whirled around her perfecting her hair & makeup, and spent almost 3 hours primping and photographing her with 10 friends. Then the boys (or are they guys at this age?) arrived for pizza and cake, and everyone got groggy together as we watched two -probably inappropriate Melissa McCarthy movies back-to-back, played hide-n-seek in my studio, and finally wished her happy birthday at midnight on her actual birthday - January 31st, 2016. I am so glad that we didn't put it off because the timing wasn't perfect, or miss it altogether. 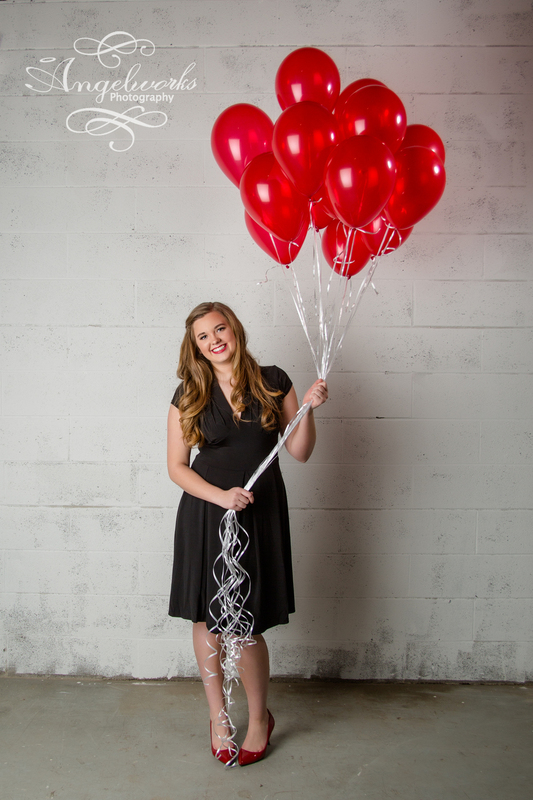 I am so thankful that I got to treat my oldest daughter to a truly sweet 16th birthday party! Happy Birthday Sweet Charlie! I know that God has great plans for you, and I don't want to miss any of it! I love you more than you could ever guess! 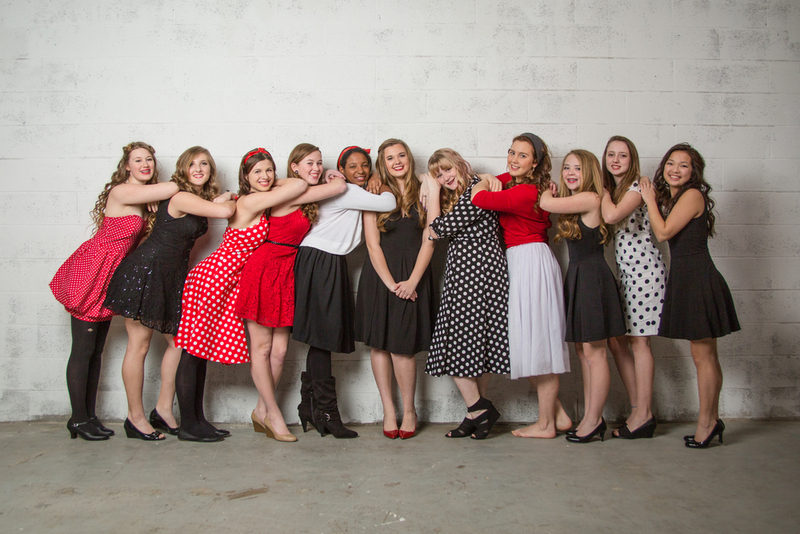 Newer PostPortage Michigan Photographer: Junior Fashion Couture! Older PostPortage Michigan Family Photographer: Favorite Canvas Wall Art!